Does that statistic surprise you? Research conducted by the Ponemon Institute, which was compiled in June of 2009, indicates that, in fact, over half of all employees compromise their employers' confidential information when leaving. The most surprising part of this study was that the data was compiled by interviewing the employees themselves. Over two-thirds of survey respondents admitted to transferring confidential business information on to a USB memory stick. Almost 90% of those respondents admit that their company forbids such a practice. Over half of respondents admit to accessing web-based e-mail from workplace computers, but most employees don't believe that company policy prohibits that conduct. My experience is that in larger, more sophisticated organizations, corporate policies concerning transfer of data to portable media, and access to web-based mail, are much more clear and widely disseminated among the employee ranks. In smaller organizations, security measures still have not caught up. It is routine for companies to allow, either implicity or explicity, documents to be shuffled around via USB drives or to be sent via web-based e-mail. The advent of new technology, and evolving means by which it is moved, means employers need to start revising non-disclosure agreements and trade secrets policies. If certain security measures are not explicitly outlined, employees often will claim ignorance (sometimes rightfully so) about migration of data. From an employee's perspective, little more needs to be said than what has not already been written about 100 times here. 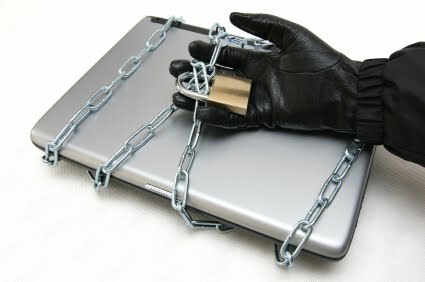 If you transfer documents to a USB stick or e-mail lists to your Gmail account, it will be traced and discovered.